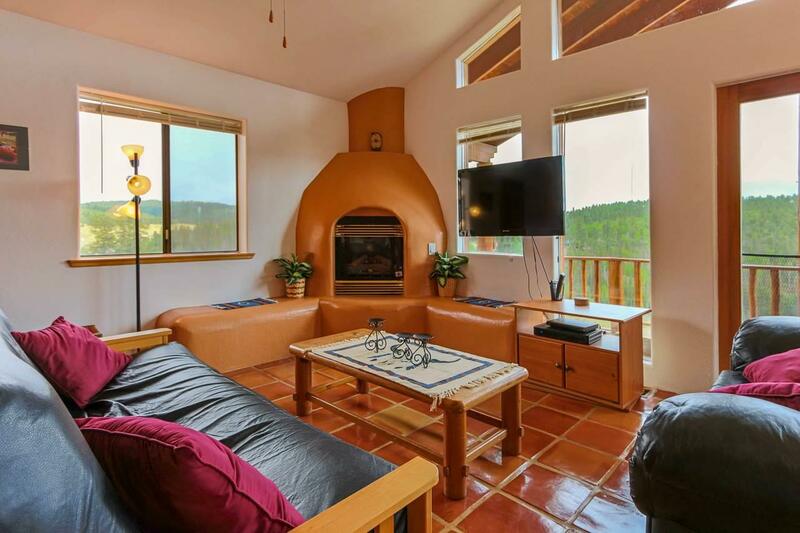 Hidden on the outskirts of Red River, on the famous Bobcat Pass, sits this cozy mountain home. 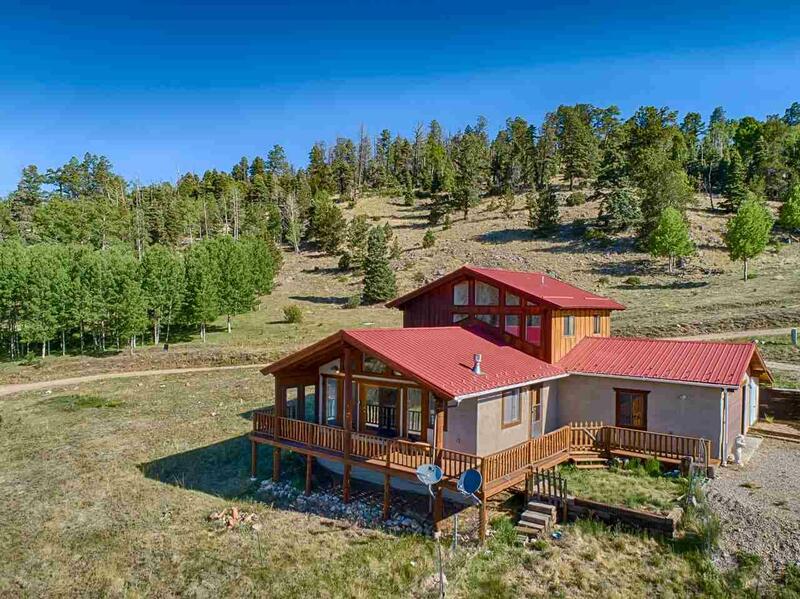 Situated on 4.36 acres with mountain and meadow views that are hard to beat, this home allows you embrace the views from its covered front deck and abundance of windows. 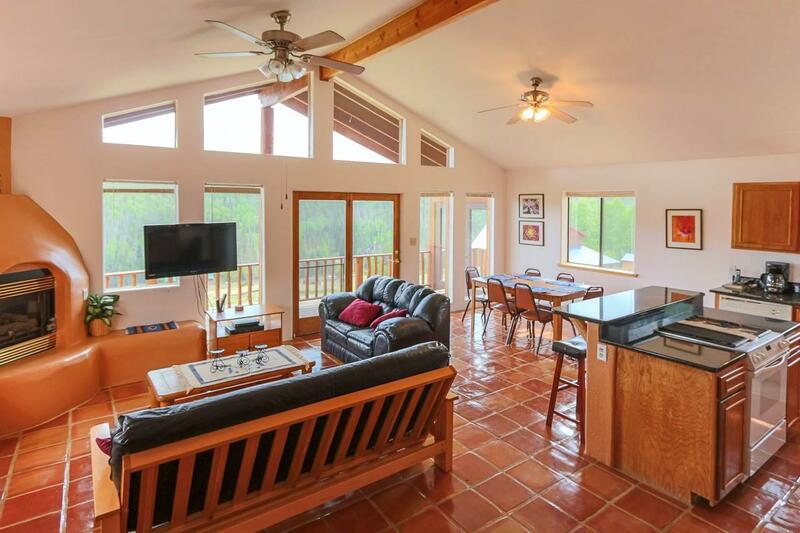 Inside, the home features an open great room with saltillo tile flooring, vaulted ceilings and a custom kiva fireplace. The kitchen has granite countertops, solid wood cabinets and a breakfast bar. The master bedroom is also on the main floor. The custom log stairs lead you to the sleeping loft, a full bath and two guest bedrooms, both with private balconies. The mudroom features custom built in cabinets and leads to the attached two car garage. The property also includes a dog run, a small barn and plenty of land for horses. 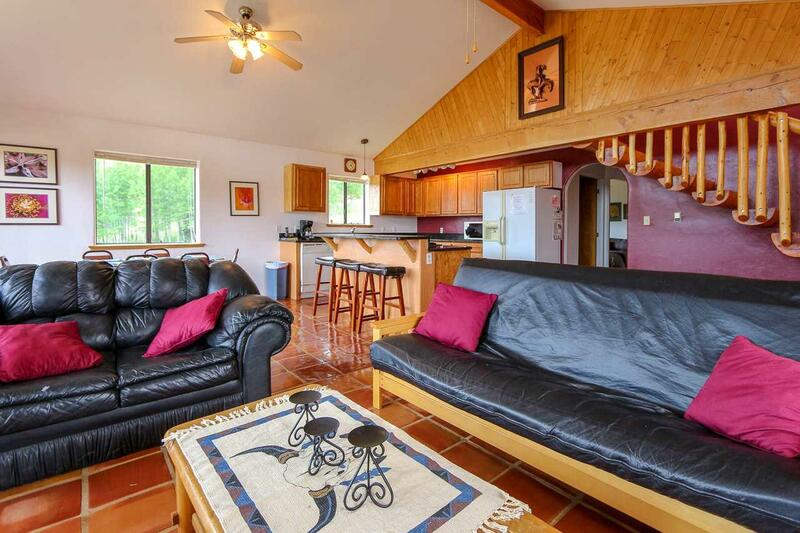 Use it as a mountain retreat or as nightly rental - the home can comfortably sleep 8-10 people!